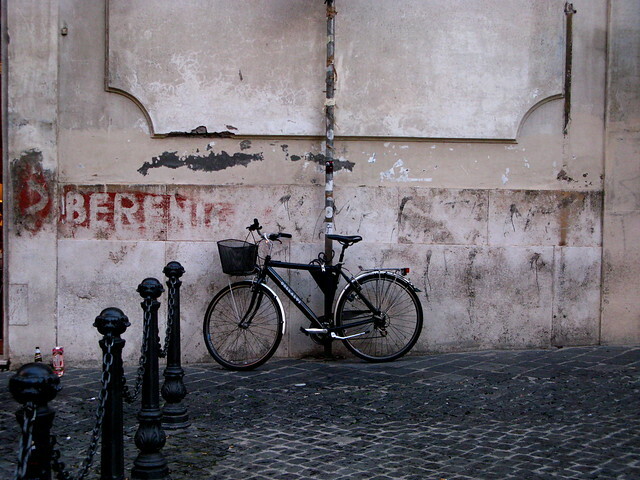 It was most encouraging and pleasing to see so many cool bicycles in Rome. Loads of vintage rides that are still going strong. 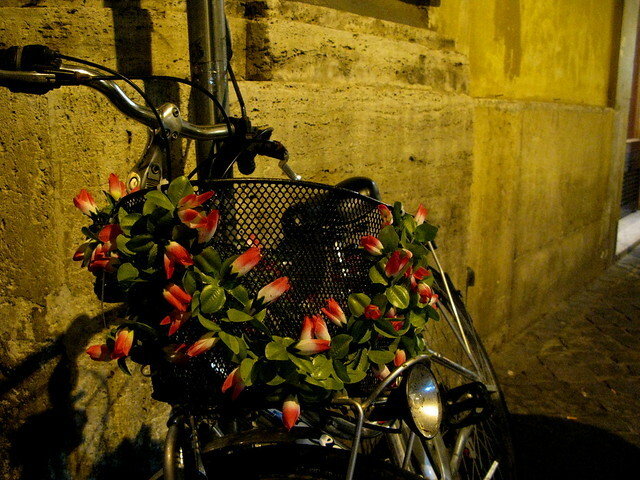 Seeing flowers on baskets was more common than I would have thought, and it's so lovely every time. 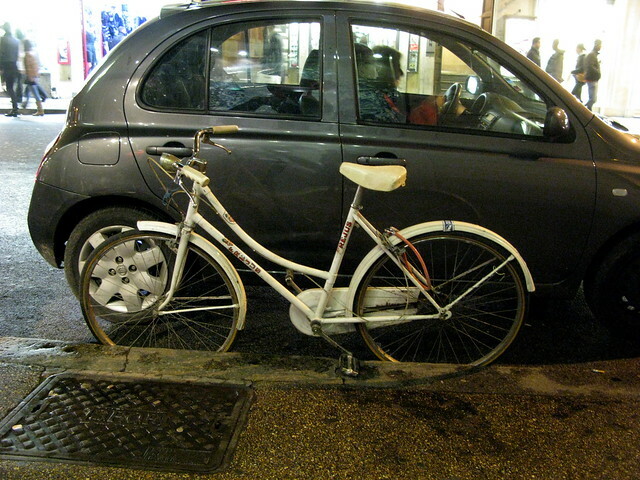 This one isn't vintage but that backrack and basket add to the mainstream bicycle culture flavour. This is old school parking. For decades this is how people parked their bicycles. Leaning them against the curb with the pedal. Probably not a good idea in cities that are getting used to the return of the bicycle, but the bike, above, stayed standing. Ouch! Poor bike. I think that driver has no respect to the owner of that bike.